BW photo. 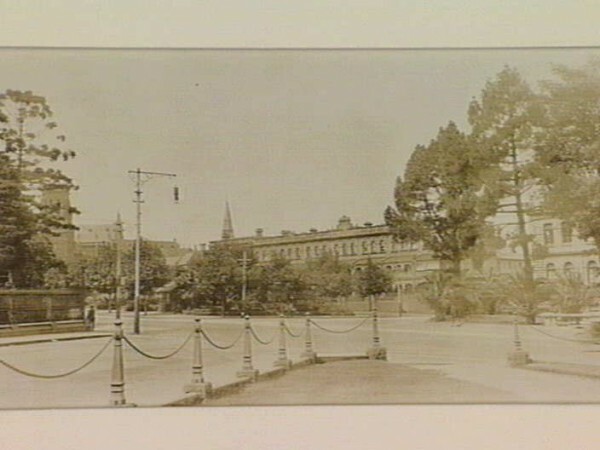 Macarthur Street, East Melbourne, looking north east from Carpentaria Place. Description: 1 postcard : gelatin silver ; 7.5 x 12.2 cm. Notes: Inscribed in ink on verso: Bella Vista / Melbourne.